All aboard the LM&M Railroad Princess Express! Come dressed as your favorite princess for an out-of-this-world experience. Each train ride will include a special visit with real Princess, a free magic wand, and a tiara! Fairy balloon artists will be onboard each train adding a little bit of magic to every ride. After the ride passengers will walk to the nearby Warren County Museum to visit with a colorful cast of princesses and their friends. Preschool Open House at Primrose! 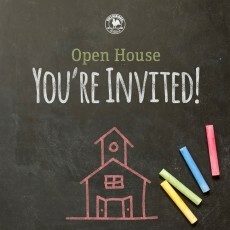 Mercy Montessori Center: Preschool + Kindergarten Tour & Meet the Teacher Morning!